Featured in Our State Magazine! BLUE HAVEN, designed by F. Carter Williams, FAIA, for his family in 1959. 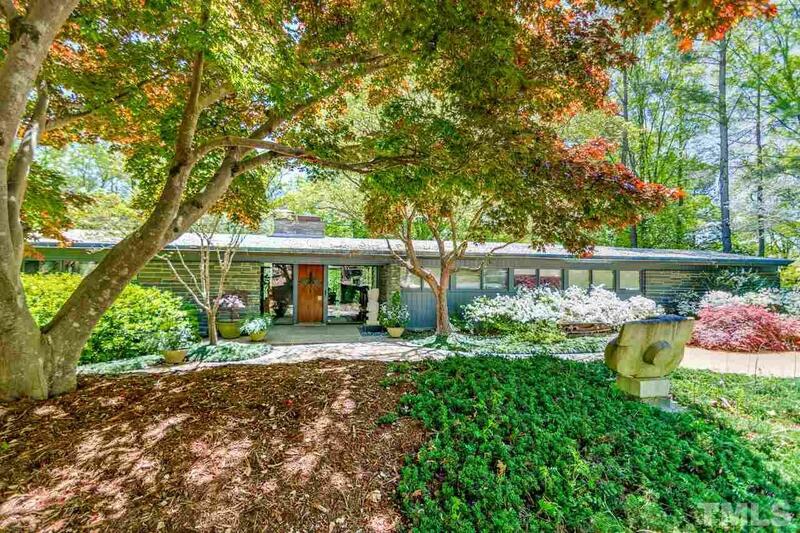 Stunning midcentury modern home, sensitively restored - one of the most architecturally significant homes in Raleigh. A graceful composition of natural materials, light, & flow- tucked away on a lushly wooded lot w/small creek. Spectacular flow for entertaining! Amazing owners suite: dressing rooms &private deck. Sep. livg area on lower level:kitchen, full bath, private bedroom, private entrance.